The tenure of new Indiana head volleyball coach Steve Aird has begun with a little bit of a hiccup. 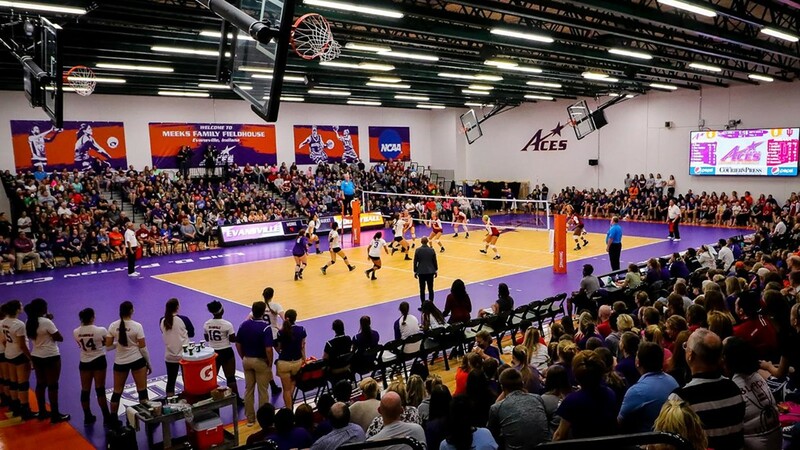 Because of a scheduling error, the Hoosiers have had to cancel their September 4th match against the University of Evansville that was scheduled to be played at the Meeks Family Fieldhouse in Evansville. The error, specifically, was the realization that Indiana was one match over their allotted competition dates for the 2018 season. Because of the late realization of the error, Indiana had no choice but to drop the match, while Evansville says they’re unable to replace it on the schedule. The match was the closest the Hoosiers have to a home date early in the season, as the two universities are less than two hours apart by car. The team travels to Muncie, Indiana to face North Dakota State, Northern Iowa, and Ball State the next weekend, and play their first home matches with the open of Big Ten play on September 21st and 23rd when they welcome in Northwestern and Illinois. Evansville was 10-20 last season and 4-14 against Missouri Valley opponents, while Indiana finished the season 12-20 and just 1-19 in Big Ten action. Indiana is 5-0 all-time against Evansville, with all 4 matches having been played in Bloomington until last year, where the Hoosiers attended the Dunn Hospitality Tournament in Evansville. The match was scheduled to be Evansville’s annual “Purple Out” event, where fans would have been able to exchange any IU shirt for a free purple Evansville shirt in hopes of washing the arena in a sea of purple. The last two matchups, in 2016 and 2017, were both Indiana sweeps, with the matchup in Evansville (1,164 spectators) actually out-drawing the match a year earlier in Bloomington (551 spectators). That’s because it was also the official grand-opening of the Meeks Family Fieldhouse after ungergoing a $750,000 renovation.